“Through education, everything is possible”, this is a phrase I am daily heard at my work place as an employee at the Calgary Board of Education (CBE), a Western styled local education school board management. Each year, the board has produced huge market-oriented labors for this sprawling city and Canada country. Hence, their up-to-date curriculum and learning policy have been constantly revamped. At their first sentence for public opinion relating to curriculum adoption domain , the question is “How can curriculum remain relevant in an increasingly global and digital world?” to notify the public opinion to shape future of their children. Their education leadership is always posed at an outstanding performance as well. Remarkably, the student success is not measured by their high score at final exam but by their assessment on effort (attendance), homework done and participation. All these are become accumulation of their yearly schooling scores. The school adopted competency-based education which measures student achievement through traditional on-site courses, online coursework, internships and paid employments, portfolios, and prior learning assessment (PLAs). This approach is the education diversification to welcome this new trend of economic diversification. Regardless of relevant curriculum and outstanding leadership in education, the rampant corruption on K-12 exam each year is not yet resolved for Cambodia. 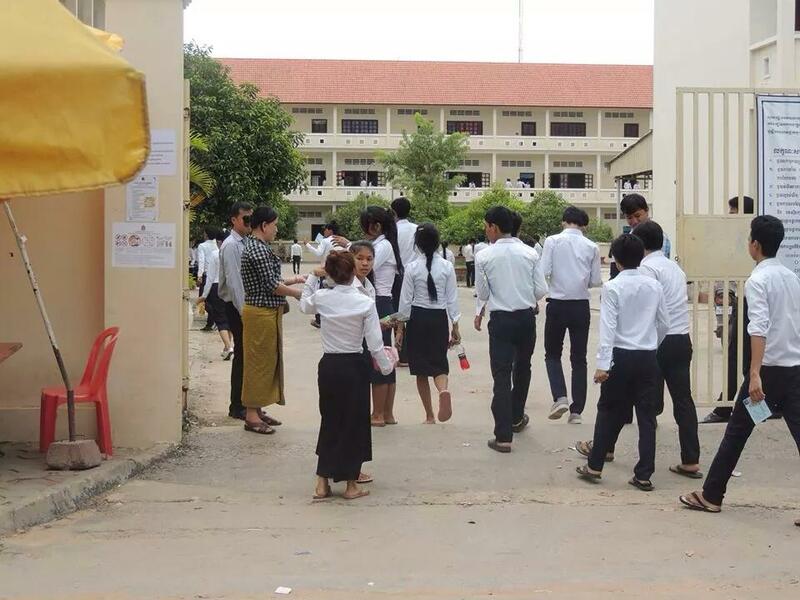 The school exam bribery and cheating have been so pervasive in Cambodia. 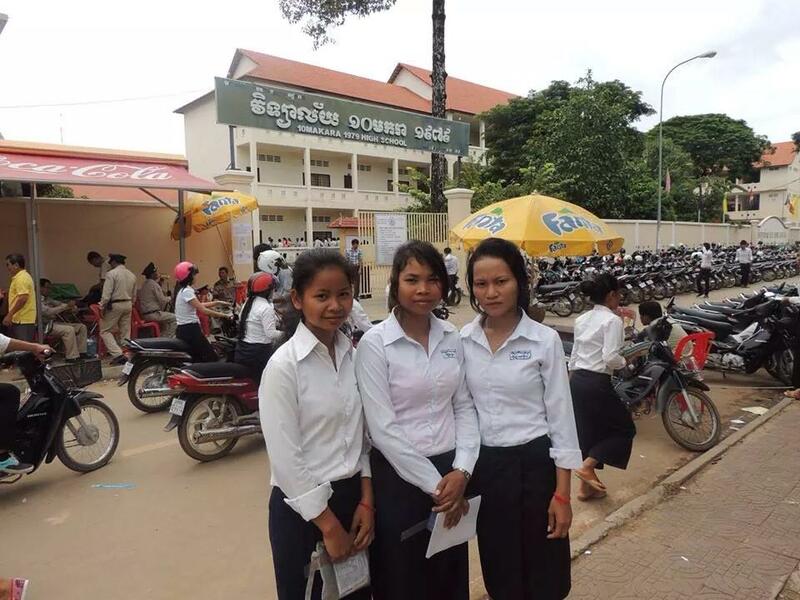 This 2014, thousands of Khmer students are entering into the exam rooms with different expectation of “no cheat, no exam leak, no corruption etc.” in according to the promise of new Education Minister, Dr. Hang Chuon Naron. But the lingering question is how could he achieve this mission in handling with human flaws of both his staffs and meager salary instructors? 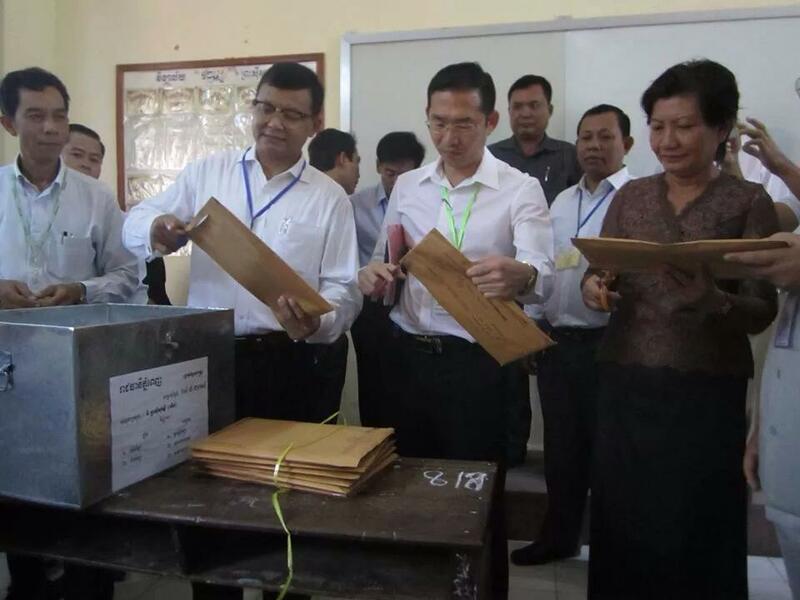 He also rejected the advise from NGOs on combining the exam scores with their two semesters schooling scores to decide student achievement, or at my understanding, this final exam is counted only 50% by allocating other 50% for students’ effort at school. Lord Buddha said “Viriyena Dhukka Miccheti” or means “effort bring us success”. 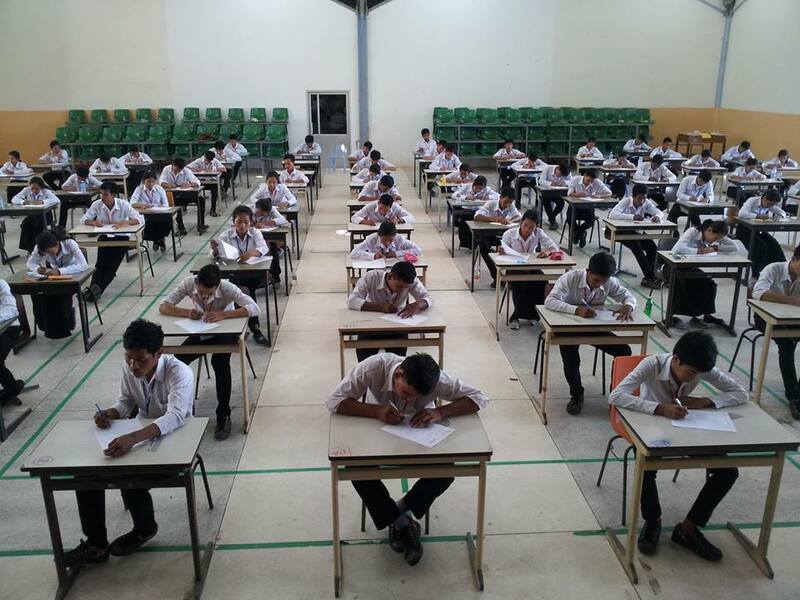 Civilized countries have adopted this theory completely by assessing students through their effort rather than through the few days strict test or exam. All students are expected to pass the K-12 through their yearly schooling performance. The exam happened only through “entrance” which mean to enter into privilege universities or high required job positions etc. Why you judge Cambodian students’ competency through these few days strict exam? 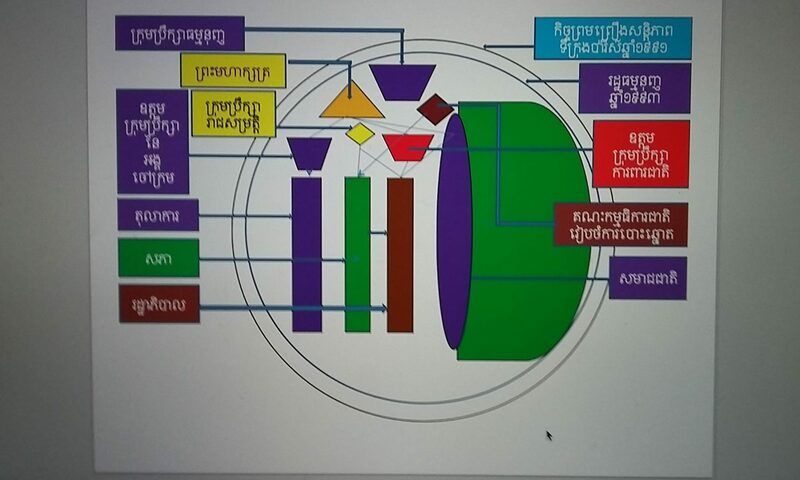 It is impossible to build pragmatic human resources for future Cambodia through strict exam. Myself and many friends have passed through this system at K-12 exam experience. We are sad on this continuing exam model. During my time, I was told the prospect of strict exam occurred on the reason of no chair (space) for university enrollment. Now, universities (both state and private) are mushrooming, the excuse of fearing no space for passed students to pursue their dream of higher education is not relevant any more. There are many leadership skills and competencies that, when combined and applied, go toward making you an effective leader. You have the ability to develop each of these skills within yourself. Read on for specific ideas on how you can improve your leadership skills! Self-confident people are usually inspiring, and people like to be around individuals who believe in themselves and in what they’re doing. Likewise, if you’re a positive and optimistic person who tries to make the best of any situation, you’ll find it much easier to motivate people to do their best. Self-confidence is built by mastering significant skills and situations, and by knowing that you can add real value by the work you do. One of the best ways to improve your confidence is to become aware of all of the things you’ve already achieved. 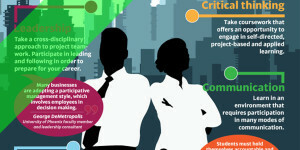 A positive mindset is also associated with strong leadership. However, being positive is much more than presenting a happy face to the world: you need to develop a strong sense of balance, and recognize that setbacks and problems happen – it’s how you deal with those problems that makes the difference. Stress management techniques, including getting enough Rest, Relaxation and Sleep as well as physical exercise, are great ways of getting rid of negative thoughts and feelings. Understanding your thinking patterns, and learning to identify and eliminate negative thinking are key. The concept of emotional intelligence used to be referred to as “soft skills,” “character”, or even “communication skills”. The more recent idea of Emotional Intelligence (EQ) offers a more precise understanding of a specific kind of human talent. EQ is the ability to recognize feelings – your own and those of others – and manage those emotions to create strong relationships. Learning to develop Empathy is essential for emotional intelligence, as is communicating effectively, and practicing Emphatic Listening. These all help you really understand the other person’s perspective.